At DynaMarine, performance is what we are all about. 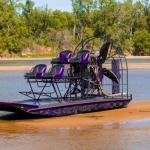 Our boats offer the optimum combination of sleek, fast hulls and high performance power train systems. DynaMarine is proud to exclusively offer high performance marine engines from award winning Turn Key Engine Supply. 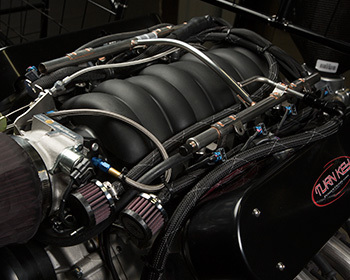 Engine options range from our entry level power train(producing well over 400 horsepower) to wicked supercharged and twin-turbo motors with mind-blowing power. Smooth, quiet gear or belt-drive reduction units spin advanced composite propellers to deliver lightning fast response and breathtaking acceleration. When it comes to performance, we take no shortcuts, make no compromises, and settle for nothing less than the very best. 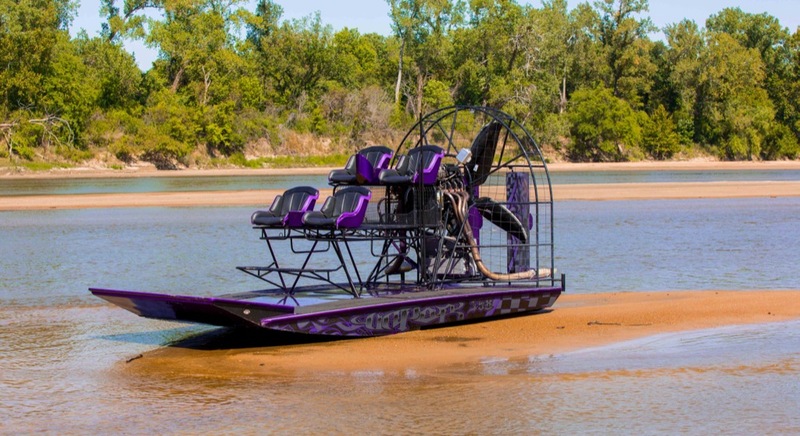 If you’re serious about owning a real high performance airboat, DynaMarine should be your only choice. © 2019 DynaMarine Performance Boats.